Ready or not, March, here we come! There's no hiding from March's theme of "Hidden." The theme was chosen by our Seattle organizer David Conrad and his team, and we were thrilled to have Jesse LeDoux create the charming illustration you see above. From hidden artistic details to groups hidden from society, interpretations on this month's theme are all over the map. Every word is an opportunity. We just danced out in the front to get excited, listen to a little Kanye, its good! Ask me - Ask me who I am. Ask me what I do. How we can connect. How we can start a conversation. Go forward, find the hidden. Le graphiste ne se cache pas. Même s’il essaye de se cacher, c’est impossible. Le travail se trouve là-dedans, dans les détails qu’il peut y avoir dans le fait de régler une typo et de maitriser une typo. C’est un travail considérable. Un bon graphiste n’a pas peur d’être invisible dans le résultat final. Its okay to be divisive, and sometimes a really good personality does that. If 50% of the people hate you, thats okay if [the other] 50% of people *really* love you. The thing to realise is that you can be serious without being formal. There is a time and a place to be serious and a lot of brands have to be serious all the time, but you don't have to be corporate or formal or boring, you can still be engaging and interesting. If you leave here today remembering just one thing, remember this: Every word is an opportunity! ... and we even write little poems that go up the sides of Guinness bottles. There's a rule for those of us who hunt for critters. That rule is: hairy is cool and rare. Anything you see that is hairy is going to excite a diver. When I first took the camera under water, I derailed my life. Part of being a good artist, or even a good human, is to travel more. You don't know the things that I've turned down or said no to to pursue this kind of work. I don't feel like I ever have to doctor my work to fit in or compromise for money or gratitude. For some people [becoming a great painter] is about selling lots of paintings or fitting into a genre or even training towards that. None of that interests me. I just like making things I like. It's just a coincidence that people even like it. Find beauty in hidden spaces. People will get on board with a good idea. Sometimes, we don't know all of these hidden backstories. All it takes is looking at something a little bit differently and trying to find out more. Sometimes it changes your life! 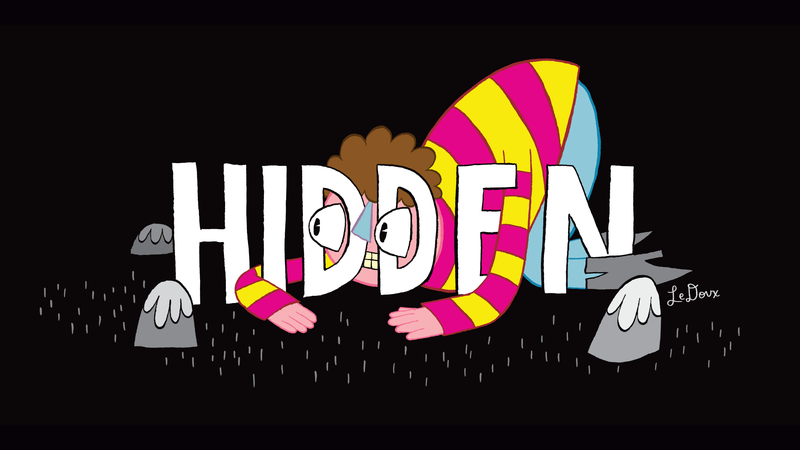 What is hidden in people? I don't know what it is about people who see things in other people that don't see in themselves. It was the beginning of the punk movement in the seventies. One day, I just decided to quit it all. We all try to figure out what we want to do with our lives. I thought you went to school and found out what you do, then do it. Does that happen to anybody? Para encontrar cosas nuevas, necesito buscar dónde no pensé que podría encontrarlo. ¿Qué es un jóven? Jóven es de mi edad para abajo. No importa la edad que yo tenga. As creatives, we invest more into the things that we create for other people than we do in our own lives. I believe firmly that everyone, all of us, are going to end up somewhere. Very few of us will end up there on purpose. If you don't know what your truth is and you're not aligning your life to that truth every day, there's no telling where your story could take you. Life as we know it is the story that we tell each and every single day, as we reveal our most important truths to the people who matter most to us. Why don't we start trusting our clients as much as we wish they trusted us? None of us know what we're doing. We search for hidden truths and try to communicate those truths through story. All I know is, I want to communicate meaning in this world, and I'm going to figure it out as I go. Whenever you're changing scenery, whether short term or long term, you're stepping out of your comfort zone. Everything is new. Everything is unknown. Creativity is more than coming up with ideas. City trips are just like one night stands. Creativity is not waiting for opportunities to happen, it's trying to create them. If anybody ever says to you, 'You guys should do a kickstarter!' you need to stop, put your hands on their shoulders and say, 'have you ever done a kickstarter?' because it is the most consuming undertaking ever. For the longest period of time — I think it was a good year and a half — we were struggling. We got caught up in what I call the infinite to-do list: cross one out, add five. As humans, what we do is we create and we consume; so we create things and we take things away. Si ya se que no tengo algo , entonces es mas facil que lo encuentre. Es mentira que las cosas deberian ser dificiles, no es cierto, las cosas deben ser divertidas. Carreteras conocidas no nos llevarán a lugares desconocidos. In some way or another, we all hide. Use this as a excuse to share, to be human to each other, and to stop hiding. I want this idea to become a household name. I don't care if my name is remembered, but the idea of it. The idea of being more human to each other to become so ingrained that it's human nature. If you can't openly share all of you, you can't really be yourself. It's really fun to develop a narrative. It's like peeling back the layers of an onion. We liked that we were doing work about this accumulation of stuff, and then making it into art, and then sending it back to Walmart. Maybe the whole part of all this data tracking is to understand this part of ourselves that we don't know. Art makes data sticky. It gets you to look. What I started to realize was that my data added up to a picture of me, this part of me that is hidden, this part of me that I don't notice or see, that was maybe richer and more complex and more interesting than I could even remember about myself. I make work out of measurements. It's easy to feel bitterness and lead with your pain, but then that's how people see you. My pain and my brokenness are a part of my story, but they don't define me anymore. I started looking for beauty all around me. That was the first time in my life that I really saw beauty and redemption come out of something broken because I discovered I am a creative. I want you to use all six of these bricks to build ducks. Academia has become so specialized. People are sitting right next to each other and they're not talking to each other. I was in love with it like a girl. I couldn't sleep at night. I would walk by it and stare at it. There was one problem. I was going to die. Resin is dangerous. Don't hide. Go get more. We're always looking for ways, externally, to figure out who we are. What I started to realize was that this added up to a picture of me: this part of me that's hidden, this part of me that I don't notice or see that was maybe richer, and more complex, and more interesting than I could even remember about myself. Sometimes an artist can anticipate a scientific breakthrough because they notice something that’s true and real. Everything that you do, you don’t hide, all that stuff comes back. Everything comes back into play. Graffiti is the pit bull of the art world. It's misunderstood. It's admired from afar but feared. People who practice graffiti or take part in the culture, we call each other 'writers'... we say 'what do you write?.' The word itself translates to 'writing'. This is about hidden talents, hidden source of ideas, but also about this hidden tacit knowledge you release when you start manipulating things with your hands. Creativity is something you can do in a number of ways. Build as many different ducks as you can … you’ve got 2 minutes … GO! Give your brain a hand, get in the zone, give ideas a body. Everything we know is hidden. March 28 CreativeMornings Budapest w/ Réka Bucsi "Symphony no. 42"